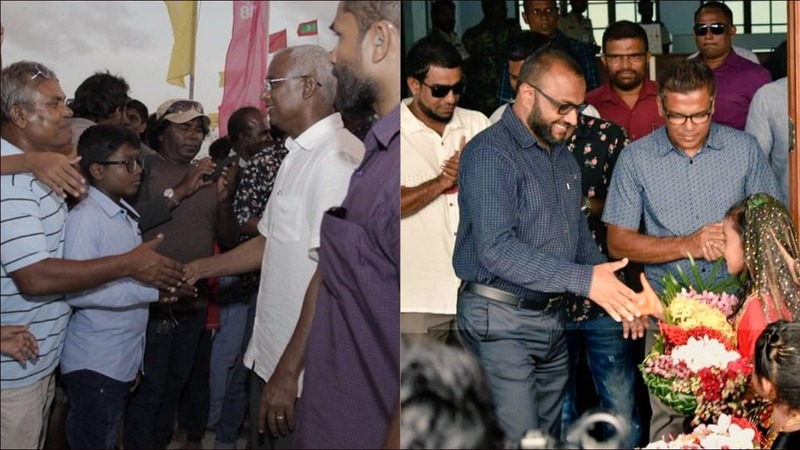 Running mate Dr Mohamed Shaheem resumed travels after previous visits to two southern atolls, meeting campaign teams in Laamu atoll. 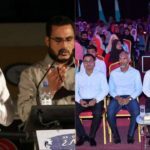 Appearing on state media, Housing Minister Dr Mohamed Muizz criticised the opposition’s policy to provide affordable housing, which includes passing comprehensive legislation, subsiding rent for low-income families, and lowering interest rates to six percent for loans to make advance payments. 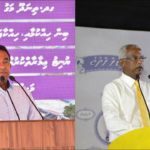 Muizz said the candidate was “worried and talking nonsense” because the ‘Hiyaa Accomplished’ project announced by the president last month would provide a flat or plot of land to all Maldivians in need of housing. The public has confidence in the president as more than 6,000 people have applied so far, he said. 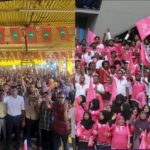 The opposition candidate promises flats for residents of the overcrowded capital, Muizz said, but he was the opposition parliament leader when they voted against reallocating 704 flats to Hulhumalé from a 1,500-housing unit project planned for four southern atolls. After visiting five islands the previous day, opposition candidate Ibrahim Mohamed Solih ‘Ibu’ continued campaigning in Raa atoll. 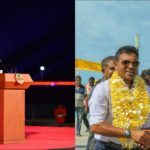 Most of the 5,626 re-registration forms rejected by the Elections Commission were from opposition supporters, he said on Ungoofaru, alleging collusion between the electoral body and the ruling party. But the opposition would stay a step ahead of efforts to rig the election, he said. 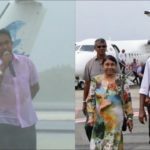 The late religious scholar Dr Afrasheem was a dear friend who told him he was staying in the ruling party out of love for its leader Maumoon Abdul Gayoom, Ibu said on the murdered lawmaker’s native island. He reiterated the pledge for independent inquiries into unresolved killings. There were 31 murders in the past six years, he noted. 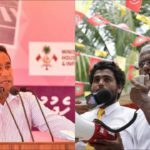 At a rally on Dhuvaafaru, Ibu said President Abdulla Yameen will be investigated for his remarks about murders and stolen cash. He also pledged to reclaim land on the island to award plots for new homes, a pledge he has made on several islands. The housing minister has since promised to do the same. Exiled Jumhooree Party leader Gasim Ibrahim’s wife Aishath Nahula continued campaigning in Dhaal atoll. In his weekly interview programme on Raajje TV, Ibu criticised Yameen for repeatedly challenging him to assure the public that the opposition coalition would not introduce religious freedom. There was no need to answer that question, Ibu said. “That is something the people, all of us, our ancestors for ages believed from the bottom of their hearts. So such questions shouldn’t even be raised. I don’t think it should be done for political purposes,” he said.